Sciblogs | Are New Zealand’s big sharks in big trouble? Are New Zealand’s big sharks in big trouble? 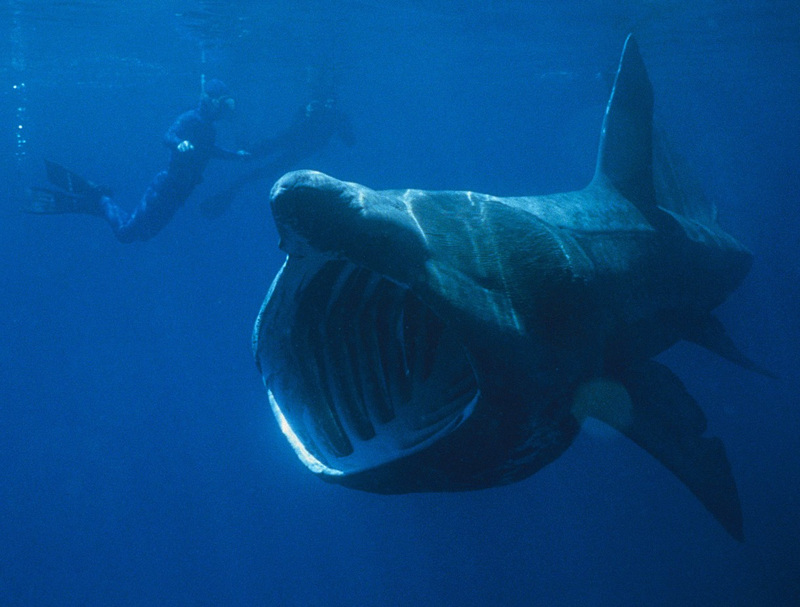 Last month, Minister for Conservation, Hon Eugenie Sage, released the news that great white and basking sharks have been reclassified from ‘at risk’ to ‘threatened’. Sounds bad, right? But what does this actually mean? The statuses are based on the New Zealand Threat Classification System (NZTCS) – a system administered by the Department of Conservation. Every five years, experts from different organisations meet to discuss and assess the risk status of the species in their particular fields. These assessments are then turned into reports which are (hopefully) used to inform decision making processes. The diagram on the right is the NZTCS classification system that is used as a guideline by experts to classify species. Although there is a hole in this diagram bigger than the gap in the 2007 All Black’s trophy cabinet, post-Rugby World Cup. It doesn’t show the category that just over a third of New Zealand’s 119 shark and ray species fall under: Data Deficient. The size of this category shows the magnitude of an issue obvious in DOC’s NZTCS report on sharks and rays: research into this group is severely lacking. In fact, most of the data on population size and structure comes from overlap with fisheries (i.e. bycatch data). That’s kind of like if the only information out there about humans came from reports of aliens accidentally sucking us up when they were trawling the universe for whatever the alien version of KFC is. So now we know a bit about what these classifications mean, where exactly do these two large sharks sit? 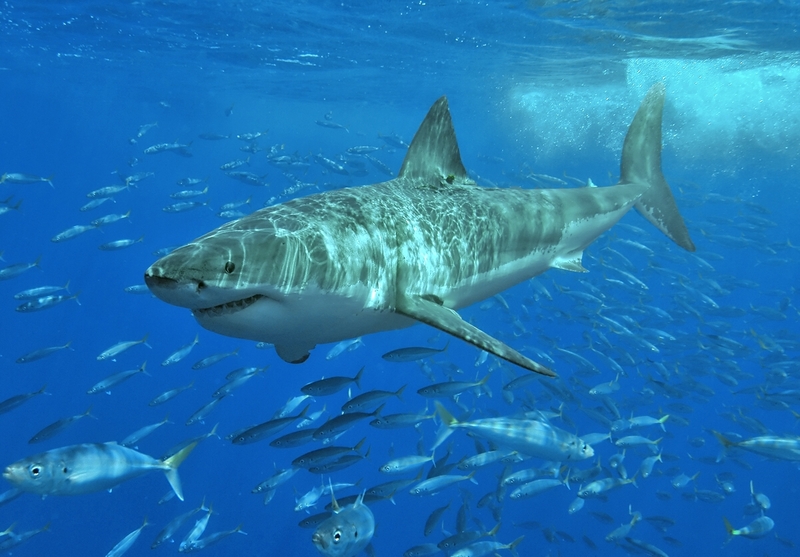 In this latest report, great whites are classed as Nationally Threatened as they have a small adult population (between 590 and 750) that is thought to be stable. While basking sharks are classed as Nationally Vulnerable as they have a moderate adult population that is somewhere between 1000 and 5000 (more likely to be closer to the bottom end) and is declining. So how do these classifications stack up worldwide? Well according to the International Union for Conservation of Nature and Natural Resources (IUCN) Red List, both great whites and basking sharks are vulnerable globally, meaning that great whites possibly aren’t doing as well here as they are overseas. Why are these sharks at risk in the first place? Great whites and basking sharks are both large, long-lived species. In nature, this life-strategy normally goes hand-in-hand with a low reproductive rate, but a high survivability; think elephant, giraffe or Thanos. This strategy means that these sharks don’t reproduce often, but their offspring have a high chance of making it to adulthood. This reproductive strategy works well… until meddling kids humans get involved. Large sharks are often apex predators, meaning they occupy similar niches to commercial fish species, such as tuna. Tuna are like the Ferraris of the fish world and sharks are the McLarens, they eat the same things and both sit in the fast lane on the Autobahn, while the Toyota Starlets and kahawai putt along in the slow lane. Because of this similarity, large sharks are often caught in nets or on long-lines in commercial and recreational fisheries. Both great whites and basking sharks are affected by this bycatch and have fallen prey to finning in the past. Great whites are also indirectly threatened by fisheries that target smaller fish, which leave less prey for the sharks. For a badass animal with its own theme tune, great whites really don’t have it so good. These endangered species of shark, along with every other large animal in the ocean, are also being annihilated by ghost fishing. Sounds scary, right? Well, it is. Ghost fishing is the term for fishing gear that has been thrown away or lost into the ocean where it carries on entangling animals for decades, centuries or even longer! Imagine that, an underwater minefield filled with see-through nylon nets just floating around waiting to trap an unlucky fish, and then an unlucky bigger fish who tries to eat the first fish, and then an unlucky shark who tries to eat the bigger fish, and then an unlucky bigger shark who… you get the point. There’s an elephant in the room (or an elephant shark in the ocean, as the case may be) that might be the biggest threat to either of these shark species – climate change. This gassy devil drives things like habitat loss and the expansion of the oxygen minimum zone, but that is a whole other post on its own, so we’ll park it for now. At the end of the day we are trying to look after both of these species of shark. They’re both protected under the Wildlife Act 1953, meaning that it is illegal to hunt them in New Zealand waters. New Zealand vessels fishing on the High Seas are also bound by the Fisheries Act 1996, which protects these species. It’s illegal to fin sharks in New Zealand waters too, which provides protection to sharks from direct fishing pressures. But as we’ve explored in this post, the main threats to these two big, beautiful shark species aren’t direct ones. So what can you do? Well, apart from all the usual – recycle, don’t use plastic straws, don’t dump fishing gear stuff – have a look at the Global Ghost Gear Initiative site, download their app and use it to report on what you find at your next local beach-clean. The collection of this kind of data at a global scale can help to understand the problem, and hopefully figure out how to fix it. Tyler Northern is a data processing analyst at Stats NZ with a background in marine science. Featured image: Great white shark, Terry Gross, CC2.5.